The skillful deployment of aphorism seems typical; the playfulness not so much. But Adorno’s short essay, “punctuation marks,” takes a sober turn shortly thereafter, and for good reason. Punctuation is serious business. Sounding much more like the Adorno I know, the dour Marxist writes, “History has left its residue in punctuation marks, and it is history, far more than meaning or grammatical function, that looks out at us, rigidified and trembling slightly, from every mark of punctuation.” Okay. Well, Adorno would just hate what I’m about to do, but—hey—this is the internet; who has the time and concentration to traverse the rocky course of thought he carves out in his work? Maybe you? Good, read the full essay. Not you? See below for some bite-sized highlights. Punctuation as music: “punctuation marks,” Adorno writes, “are marks of oral delivery.” As such, they function like musical notation. “The comma and the period correspond to the half-cadence and the authentic cadence.” Exclamation points are “like silent cymbal clashes, question marks like musical upbeats.” Colons are like “dominant seventh chords.” Adorno, a musicologist and composer himself, heard things in these symbols most of us probably don’t. The semicolon: There is no mark of punctuation that Adorno rejects outright. All have their place and purpose. He does decry the modernist tendency to mostly leave them out, since “then they simply hide.” But Adorno reserves a special pride of place for the semicolon. He claims that “only a person who can perceive the different weights of strong and weak phrasings in musical form” can understand the difference between semicolon and comma. He differentiates between the Greek and German semicolon. And he expresses alarm “that the semicolon is dying out.” This, he claims, is due to a fear of “page-long paragraphs”—the kind he often writes. It is “a fear created by the marketplace—by the consumer who does not want to tax himself.” Right, I told you, he would hate the internet, though he seems to thrive—posthumously—on Twitter. The ellipsis: On this mark, Adorno becomes very prickly, particular, and, well... elliptical. Three dots “suggests an infinitude of thoughts and associations.” Two is the mark of a hack. I leave it to you to parse his reasoning. The dash: First, we have “the serious dash,” in which “thought becomes aware of its fragmentary character.” Dashes may signal “mute lines into the past, wrinkles on the brow” of the text, ”uneasy silence.” Dashes need not connect thoughts. 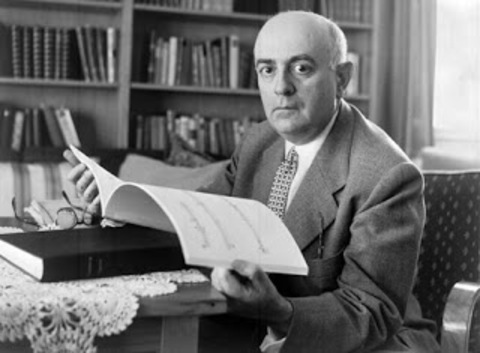 The “desire to connect everything,” Adorno writes, is the mark of “literary dilettantes.” Thus the “modern dash” is debased, a symptom of “the progressive degeneration of language.” It prepares us “in a foolish way for surprises that by that very token are no longer surprising.” Adorno also prefers another use of dashes—more below. Parentheses: Parenthetical phrases (like this) create “enclaves” and admit the “superfluousness” of their contents, which is why many stylebooks frown upon them. Their use in this way “capitulate[s] to pedantic philistinism.” The “cautious writer”—writes punctiliously cautious Adorno—will place parentheticals between dashes, “which block off parenthetical material from the flow of the sentence without shutting it up in a prison.” The parentheses do have their place, as do all marks of punctuation in Adorno’s lexical theory. But probably only if you are Proust. The link to his bio states that Adorno left Germany for Oxford during WWII. I guess you could say he was a grammar anti-Nazi :->. A very enjoyable historical vignette. Solid post. Anyone who enjoyed it should check out the late David Foster Wallace’s essay on language, Tense Present. May actually be able to find a link via this blog as I know DFW is a favorite in this space–and rightly so. I miss that guy.